Artie is a 6 y/o mare, 15'3" hands. Artie is forward under saddle, so requires an experienced rider. She loves to jump and is bold and brave over the fences. She is an alpha mare and does best with turnout either alone or small group. Artie is an easy keeper, cleans up her hay. She is a cribber, and she is very content in her stall eating, sleeping and cribbing. 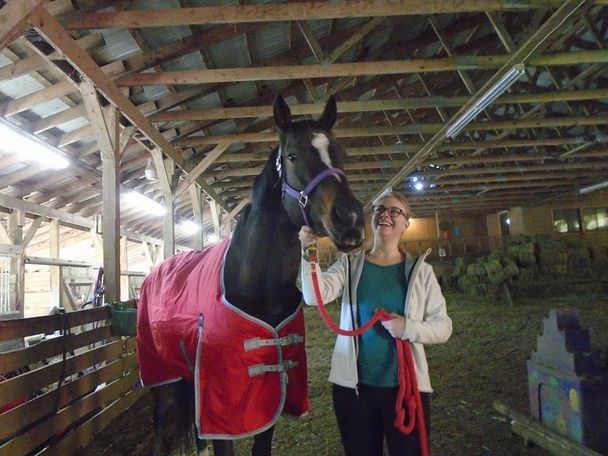 She was previously adopted and returned because of her mare behaviors. She occasionally kicks in her stall (usually one day a month) during feeding time. 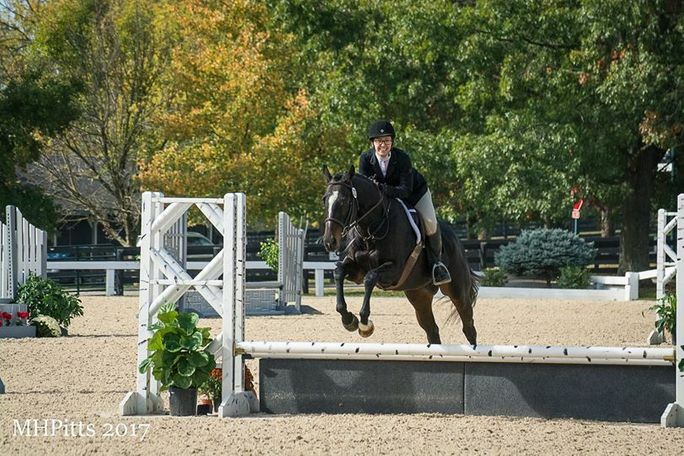 If you love a mare who will be your riding partner and can manage her idiosyncrasies, shoot us an e-mail. She is a gorgeous mare and generally very sweet with people.